Esophagoscopy is a endoscopic examination of the esophagus, in which the doctor, using a special device (esophagoscope) receives the necessary information about the condition of the digestive system and can even carry out some therapeutic manipulations. Accordingly, the objectives of the meeting, esophagoscopy can be diagnostic and therapeutic, in addition, the first can go in the second in the research process. Urgency of the allocate routine and emergency esophagoscopy. In addition, the survey can be combined with the examination of the stomach and 12 duodenal ulcer, the evidence. So the possibilities of the endoscopic technique is very wide. Frequent belching, especially acidic or rancid taste. The feeling of «lump in the throat». Frequent feeling of heaviness in the abdomen. Emergency esophagoscopy is indicated for the presence of foreign bodies of the esophagus, bleeding. 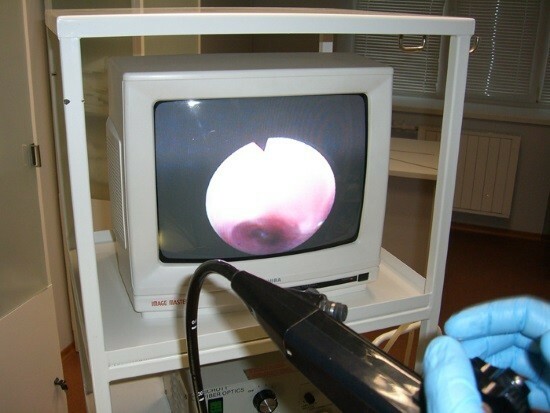 With the help of an endoscope can also be used for some surgical interventions (removal of polyps, etc.). The indications determined by the treating physician. Endoscopic examination of the esophagus has also contraindications. These include any decompensated somatic pathology (whether severe respiratory or heart failure) or serious mental disorders (as a result of which the patient loses the ability to follow your doctor’s instructions). However, when it comes to the preservation of life (e.g., in the event of esophageal bleeding), research is being conducted on an emergency basis. Although the study of the esophagus do not need to follow any special diet, it does not mean that training is non-existent. The study is conducted most often in the morning and always on an empty stomach. 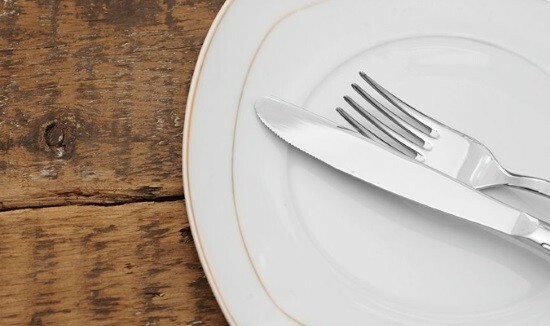 The last meal the day before should be no later than 6-7 PM. On the day of the study you cannot take any food, as well as Smoking and taking medications (if possible) inside. No later than 2-4 hours before the test you should stop taking the liquid, and up to this point is possible in a small amount to drink water or sweet tea. Also, in preparation for the procedure, the day should not wear uncomfortable, tight clothes, tight belt or tie. In addition, if you have a drug Allergy, you must inform the doctor before the examination. For esophagoscopy in modern conditions you can use a flexible esophagoscopy. 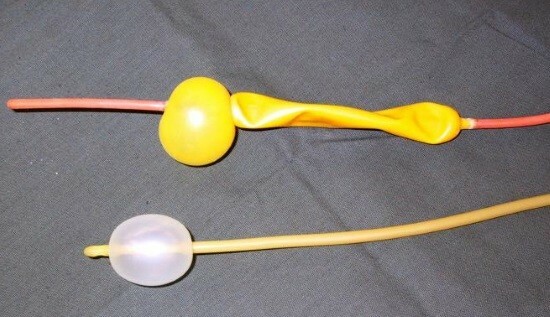 Immediately before the study using a local anesthetic spray to reduce the discomfort and reduce the gag reflex during the procedure. Next, the patient is laid on its left side, teeth he holds a special mouthpiece, which does not allow them to touch the device. Endoscopist Flex the free end of esophagoscope according to anatomical structure of the oropharynx, to make it easier to push through her device and enters it in sync with the swallowing movement of the patient. After the introduction of an endoscope directly into the esophagus his promotion is accompanied by a certain air Plenum, which allows you to spread your folds and details to view the mucosa and record the slightest changes. The inner diameter of the esophagus. The tone of the walls on peristaltic waves. The condition of the mucosa: color, integrity of the mucosa, vascular pattern, folding. The presence/absence of foreign bodies, neoplasms. If necessary, during esophagoscopy may be fence material for cytological examination. After the procedure, before eating, should wait for a time ranging from half an hour to 2 hours, depending on the duration of action of the drug used for local anesthesia (otherwise, possibly of choking). This type of diagnosis is not completely secure study. Although in skilled hands, complications are extremely rare, they still occur periodically. Violation of mucosal integrity, seldom ─ esophagus, which becomes possible when rough the promotion of the device or pathological changes to the walls of the body. In this case, take immediate action for the elimination of damages depending on their severity. Bleeding from mucosal lacerations, ulcerations; bleeding from esophageal varices, neoplasms. To stop bleeding can be used the capabilities of esophagoscope: cauterization, clipping, or other devices, for example, the probe Blackmore, the tactics chosen by the doctor depending on the source and intensity of bleeding. The development of allergic reactions to local anesthetic used. Depending on the type and severity of carried out the appropriate emergency actions. Conditions associated with pathology of the patient: when performing esophagoscopy may develop angina, an attack of bronchial asthma. Where and how can I be tested? Get directions on the procedure from your doctor-the therapist or the gastroenterologist in the presence of relevant complaints. The transcript study also produced a doctor who, making conclusions about the condition of the patient, may explain the state of Affairs and offer treatment if necessary. Esophagoscopy refers to such surveys, which to date has no analogues in terms of information and the possibility of transition from diagnostic to therapeutic tactics right in the course of the procedure. Some information, but not so exhaustive, the doctor may also be obtained using the method of x-ray studies and ultrasound. Many medical professionals, especially gastroenterologists, esophagoscopy use in their routine practice for the diagnosis and the differential diagnosis. Esophagoscopy still remains one of the modern methods of diagnosis and treatment, without which it would be impossible to identify many pathological conditions. So if there are any complaints listed above, do not delay treatment to the doctor. If necessary, he will appoint an esophagoscopy will determine future diagnostic and treatment tactics.